Sachin Pilot hits out at the BJP, says "the minute you ask questions to BJP or PM you are called anti-national". 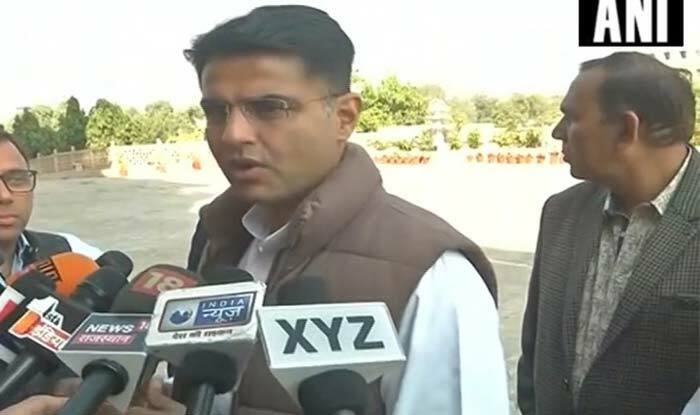 New Delhi: While attacking the Telangana government, Rajasthan’s Deputy chief minsiter Sachin Pilot on Monday also hit out at Prime Minsiter Narendra Modi. He said that the Telangana government is creating a fear-like environment in the state like PM Modi is doing in rest of India. “Incumbent government in Telangana is doing all it can to buy legislators and pressurise lawmakers, to create environment of fear like Mr Modi is doing in rest of India by using agencies to quieten voices of anybody who questions BJP,” Congress leader Sachin Pilot said in Hyderabad. Launching a scathing attack on the Bharatiya Janata Party (BJP), Sachin Pilot said that ‘we are told to go to Pakistan’ when questions on pertinent issues such as inflation, farmer suicide etc are raised. “The minute you ask questions to BJP or PM you are called anti-national. You say why is there inflation, why are farmers committing suicide, we are told ‘Go to Pakistan’. This sort of rhetoric, based on emotions don’t serve India’s election well,” Pilot asserted.